I am selling a set of JRZ RS Pro Coilovers with remote reservoirs for 987 Cayman and Boxsters, will also fit 986 Boxsters if you remove the spacer sleeve (comes off in 30 seconds). These were rebuilt 4000 miles ago and are in good shape. Two adjustment knobs are missing but they can be easily sourced from JRZ. 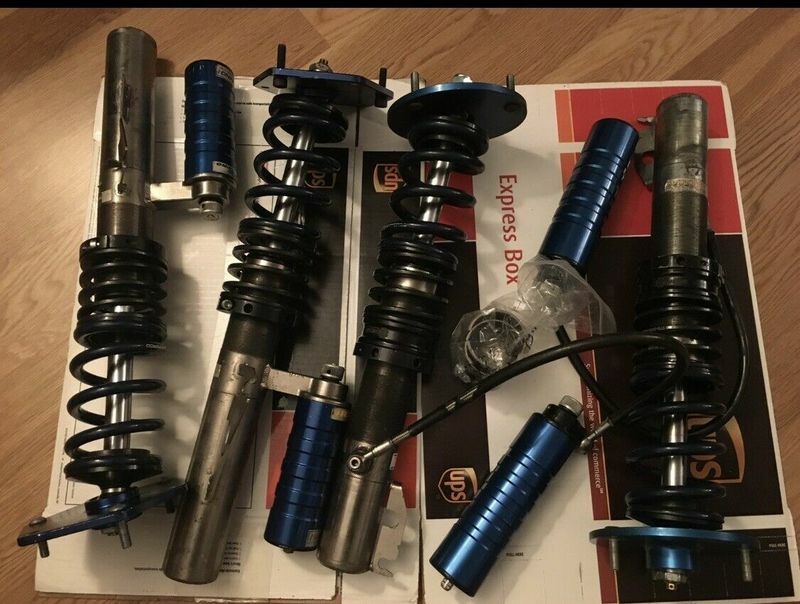 These are a real set of coilovers that will take the handling of your Porsche to the next level and list for over $6000 new. If you are thinking about DE events, Track days, or Autocross, do not waste your time and money with an inferior cheap setup. Do it once, do it right. This is exactly what you are looking for, and you will not find these at this price again. I am selling my Porsche and building a Spec E46 car, so these have to go. I am selling these for $2750 + shipping.